The Joint Electronic Payment Initiative (JEPI) is a joint project between W3C and CommerceNet with a number of industry partners to explore the process that takes place, typically, after shopping and before actual payment begins. 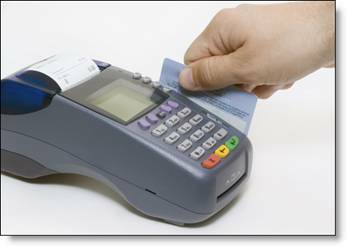 This is the point in time where the exact payment instrument (credit card, debit card, electronic check, electronic cash, etc.) must be agreed upon between the browsing client and the merchant server, before the transaction can take place. With the development of appropriate HTTP extensions like PEP and UPP, JEPI phase 1 offers an automatic payment selection process, which ultimately enhances the user shopping experience while allowing the coexistence of multiple payment systems. JEPI is not about a new payment protocol or scheme but rather a way to negotiate and select a single payment system to be used for a particular transaction from the group of multiple payment systems installed on the client and server platform. If a server has installed payment systems A and B, and a client has installed Wallet C and D, JEPI will not help; no conversion functionality is provided. But if a server has installed payment systems A, B and C, and a client has installed Wallet C and D, then JEPI should be able to select C as the appropriate method on behalf of both users. JEPI should also allow end-users to smoothly extend their arsenal of payment mechanisms with new payment systems without interfering with already installed systems. You go to a merchant's website. While browsing the catalogue, your JEPI-enabled client software talks to your merchant server; it informs the server about your 5 preferred payment methods. Now, you select your items and press the Submit button. The merchant acknowledges the order by sending you an invoice along with a list of payment systems it can accept. But this time, it sends only 7 options; 4 of 5 methods suggested by you and 3 additional methods of its preference, including its favorite credit card with which a big discount is associated. To take advantage of the discount, you select the merchant's favorite credit card and press the Pay button. The payment transaction starts. In this scenario, the consumer is happy because they didn't miss the discount. The merchant is also happy because it was able to use its favorite payment method. Besides, the consumer was presented only with relevant payment choices.